The famous Plant Sale and "Thyme Well Spent" Gift Shop are open to the public from 9-5 on Friday and 8-5 on Saturday. No registration is required to come to the plant and gift sale. View Plant Sale Flyer. Click here to view Herbal Forum brochure. Presenters: Caroline Caswell, Abianne Falla, Saurabh Kajaria, Autumn Schulze, Amanda Vermillion Biographies below. 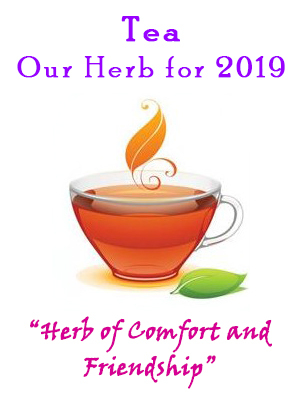 The Herbal Forum begins at 8:45 am on Saturday, March 16, in the Festival Concert Hall with a welcome by Karen Cornwell, Herb Society of America, Pioneer Unit Chair and Tony Scanapico, Herb Society of America Pioneer Unit member. Five exciting and informative presentations are scheduled throughout the day. See description of Presentations below. The midday break includes the traditional Blessing of the Gardens followed by a Garden Buffet Lunch on the rear lawn of the Menke House. The last event of the day on Saturday, "Wonderful Ways with Herbs," includes demonstrations by many of our presenters and some of our fellow herb enthusiasts. With plenty of tastings and more to learn, this will certainly be a great way to end the day! Make it a two-day getaway! Spend Friday and Saturday on Festival Hill. Overnight accommodations are available on campus. You'll have two days to visit the plant sale and gift shop, and even take in a leisurely stroll in the gardens. A reservation-only lunch is available on Friday. Herbal Forum Registrants are invited to attend the reservation-only Presenters' Dinner in the Victorian-style Menke House on Friday evening, followed by a presentation of the movie, "Tea with Mussolini," in the masterfully restored Edythe Bates Old Chapel lecture hall. After your complimentary breakfast on Saturday morning (yoga is available too), you'll feel refreshed and ready to enjoy the forum. NOTE: Workshops are not being offered this year. For information regarding the 24th Annual Herbal Forum, please email info@festivalhill.org or call/leave a message at 979-249-3129. Forum proceeds benefit the Gardens of Round Top Festival Institute and The Herb Society of America-Pioneer Unit Educational Activities.